Pound Euro Exchange Rate Forecast: Will GBP/EUR Rally on Next Week's Brexit Developments? STORY LINK Pound Euro Exchange Rate Forecast: Will GBP/EUR Rally on Next Week's Brexit Developments? The Pound Euro (GBP/EUR) exchange rate trended lower on Wednesday as the pairing was knocked by the latest bout of Brexit uncertainty. This comes as EU officials report that they still have not received a letter from Theresa May requesting a delay to Brexit, despite being just hours away from the next EU summit in which the PMs request will face the 27 other leaders in the EU. Observer fear that this dents the chances of the other leaders agreeing to an extension, given that any decision to grant a delay will need to be unanimous. On top of this GBP investors appear disappointed that May will only seek a short delay, likely until the end of June amidst pressure from Brexiteers within her party. Market would prefer a prolonged delay that would help to keep the status quo for longer as well as open the door for a potential second referendum. The focus on Brexit saw investors largely overlook the release of the UK’s latest CPI figures on Wednesday morning, despite beating expectations. According to data published by the Office for National Statistics (ONS) inflation saw a modest upswing in February, unexpectedly rising from a two-year low of 1.8% to 1.9% and beating forecasts it would remain flat. The rise in inflation was reportedly down to rising food and alcohol prices, with higher input costs for business expected to buoy inflation in the months to come. Meanwhile the Euro (EUR) found some support on Wednesday morning ahead of the Federal Reserve’s latest policy decision. 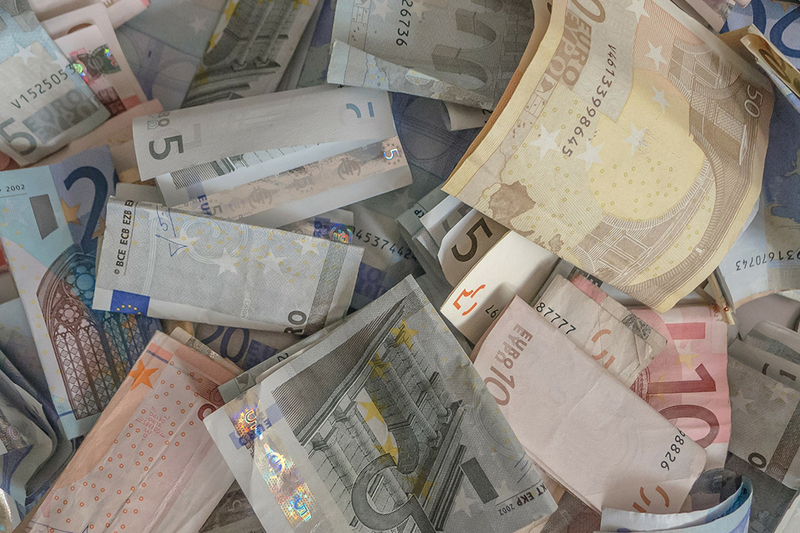 This is likely to be supportive of the Euro on Wednesday evening, with its role as the most traded pairing with USD likely to see investors move into EUR if the US Dollar weakens as expected. GBP/EUR Exchange Rate Forecast: How will the BoE’s Rate Decision Impact the Pound? Looking ahead to the remainder of the week, while Brexit is likely to remain the driving force behind the Pound Euro (GBP/EUR) exchange rate, the pairing may also be impacted by the Bank of England’s latest rate decision. While the BoE is not expected to drop any policy changes on Thursday, the bank could still influence Sterling sentiment depending on whether it comments on the current state of Brexit and how a delay may effect plans for a potential rate hike later this year. Meanwhile, EUR investors will be focused on the release of the Eurozone’s latest PMI figures at the tail end of the week. Economists forecast that growth in the bloc’s private sector will have remained weak in March, with the Manufacturing sector set for another contraction in growth. This is likely to stoke fears that the Eurozone economy has stagnated in the first quarter of 2019 and is likely to result in the Euro weakening on Friday if the PMI figures print in line with expectations.